1. 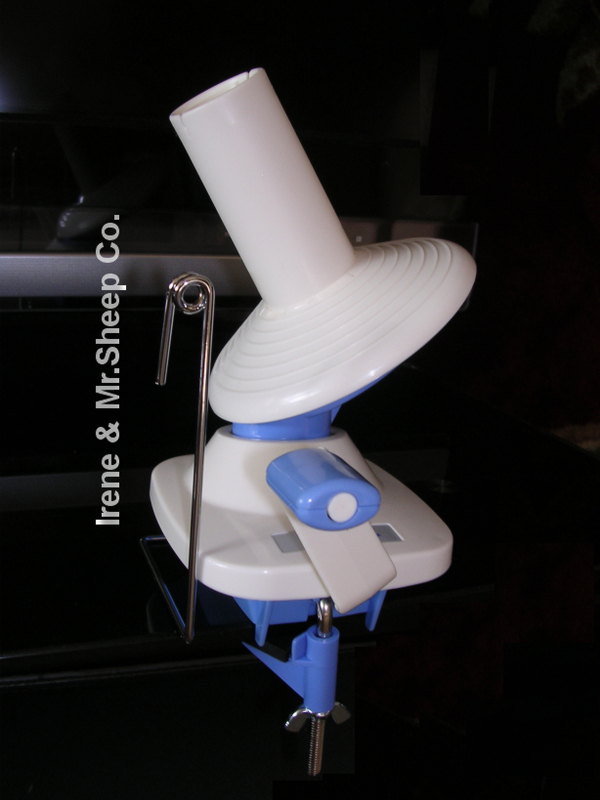 Wool Ball Winder: swivel rotary wool winder, plastic, table clamp type. Made in Japan. 2. Yarn Ball Winder: plastic, table mounting bracket included. Made in Taiwan. 3. Sweater Stone: removes pills from knitwear, towels, upholstery, and bedding. 4. Knitting Accessory Kit includes: point protectors, knitting register, locking stitch markers, jumbo bent-tip tapestry needle, tape measure, knitting gauge, tapestry needle № 17, double-ended stitch holders. 5. Bamboo Marking Pins: for thick and voluminous knits, length: 2-3/4", 10pc pack 6. Hair Pin Lace Tool: makes lace width 1-3 inches (2-8 cm), comes with 3 adjustable metal pins. It is perfect for long braids and interesting laces made using plied yarns or ribbons. 7. Locking Stitch Markers: designed to hook into the stitch so it won't slip out and are used for 1) marking location of a stitch within a row; 2) marking rows when increasing / decreasing, 20pc. 12. Spring Tape Measure: 60 inches /156 cm long. It has both metric and inch measurement; fiberglass construction prevents stretching. 13. Tube Case: for straight knitting needles up to 14" long, plastic. Knitting accessories can be stored in the small removable bottom case. 14. Needle Holders: for double pointed needles. These holders are in the shape of pullover sweaters, 3 per package, each in different colour. 15. Pompom Makers, Small: set of two sizes: 35 mm and 45 mm in diameter. 16. 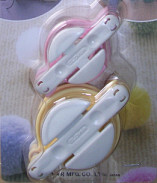 Pompom Maker, Jumbo: size of 4-1/2" / 115 mm diameter, one per pack. 17. Seam Ripper, Eco Bamboo Handle: easily cuts threads on fabrics, perfect for ripping out seams, cutting threads and removing threads from under buttons. 18. Point Protectors, Small: made from silicon material for better elasticity and greater holding action, 4pc. For knitting needles from 2mm (No. 0) to 4.5mm (No. 7). 19. Point Protectors, Large: prevent stitches from slipping off the needle, made from silicon material for better elasticity and greater holding action. For knitting needles from 3.75mm (No. 5) to 6.5mm (No. 10 1/2). 20. Yarn Guide: helpful while knitting with two or more yarns. One size fits all. 21. Knitting Counter: hand held, for counting stitches and rows by pushing the counter button. 22. Split Ring Markers: have special curves and will not slip off the stitches, can be moved or taken off at any time. 23-24. Coil Knitting Needle Holders: durable, non-slip holders wind around knitting needles to hold them together. Large size - 3 pc set, Small size - 5 pc set. 25. Yarn Threader: a firm flat threader with a large opening, it is ideal for hard-to-thread yarns. 26. Pendant Yarn Cutter: a cutter with a sharp circular blade inside designed to cut yarn, Antique Silver finish. 27. Compact Yarn Cutters: safe cutters with blades protector. You can tuck them in your knitting bag to always have on hand. 28. Pins Sharpener and Polisher: antique style sharpener and polisher for sewing needles and pins.